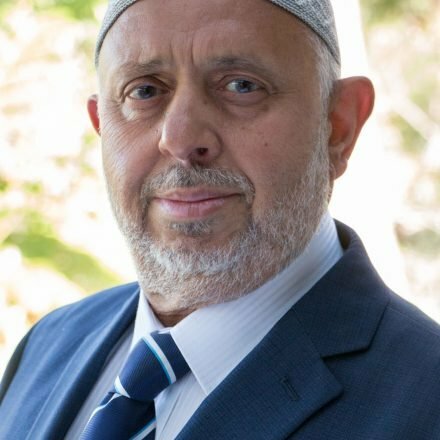 While still in shock from the Christchurch tragedy from last Friday and contemplating my personal response, I received a call early Monday morning from Imam Abdul Malik Mujahid from Chicago, former Chair of the Council for the Parliament of the World’s Religions, and in the forefront of advocacy for Rohingyas and Uighurs. I must admit that he did make me feel a little guilty and the same evening I headed for Christchurch together with a delegation including the Mufti of Australia Dr Ibrahim Abu Mohamed and other community leaders and activists from Sydney. 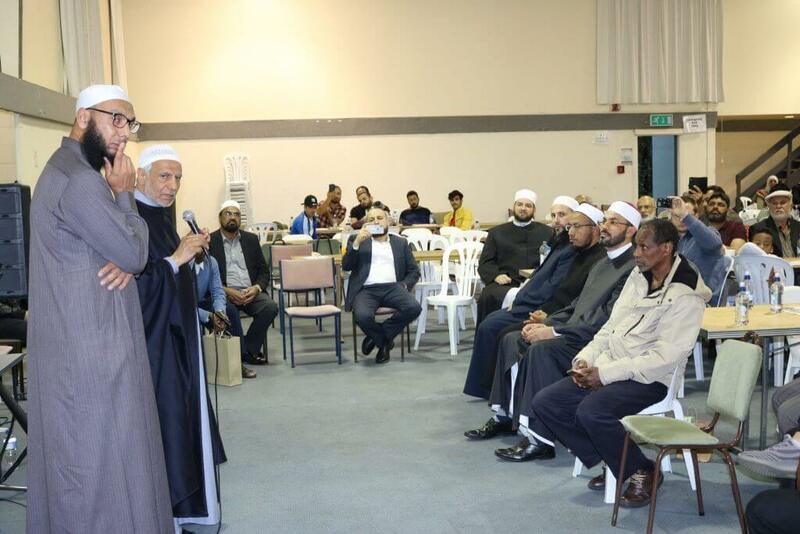 Dr Ibrahim Abu Mohamed and Professor Abdallah addressing the family and friends of victims at Horticultural Centre in Christchurch on Tuesday 19 March 2019. At the airport, while I was asked by the Mufti to photos of the delegation, a lady with a one-year-old baby in her arms offered to take photos so that I could be in the shots as well. I held her baby while she took a number of photos of the Sydney delegation. While ready to board the flight at the gates, I introduced myself, gave my card and offered a copy of AMUST to her and when she realised who we were and where we were going for what purpose, she started crying saying how sorry she was regarding the mosques’ tragedy. She was a New Zealander, a resident of Christchurch. I want to take a moment to thank you for the newspaper you gifted me at Sydney airport. For us this tragedy has broken our hearts and soul. To know this happened to innocent people in our city. I moved to Christchurch after the quake. I lived in Hawkes Bay and I have known the city in dark times but this time is much darker. When I news broke on Friday we were at The Entrance on the Central Coast and I cried until my heart could cry no more for the victims, the injured and for those left behind. Speaking with you this evening made me feel humbled to return home and know that we will heal thru the kindness of others. May your fallen brothers and sisters Rest In Paradise. Please do not hesitate to ask if any of you or anyone need anything. Al Noor mosque under police cordon on Wednesday 20 March 2019. During the two days I was in Christchurch I experienced overwhelming empathy from New Zealanders of all background including police and politicians towards Muslims from the airport to the motel, in the streets and in the hospital as well at the Horticultural Centre in Hagley Park set up to coordinate the efforts dealing with this tragedy. A large number of Australians from many cities and from Sydney, in particular, were in Christchurch soon after the tragedy. 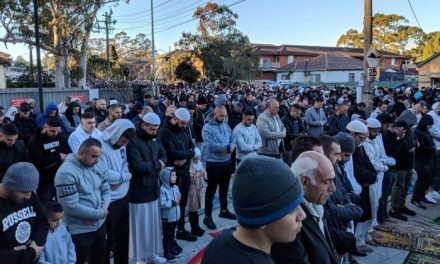 These included Sheikhs and Imams from various mosques, community leaders, aid organisations and activists ready to render support for the victims of the tragedy in any way possible. 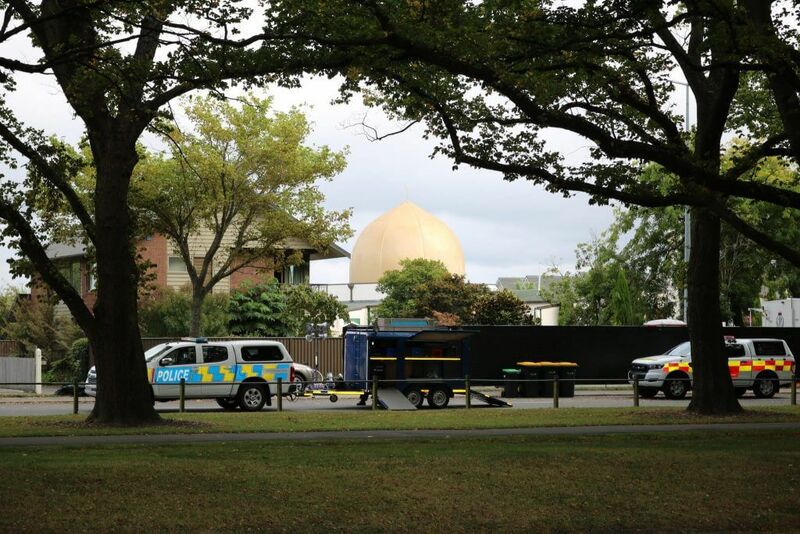 The Horticultural Centre in Hagley Park, close to Al Noor mosque was set up to coordinate the efforts to deal with this tragedy serving as an information centre, meeting place and communication between authorities and family and friends of the victims. During the first day of my visit on Tuesday 19 March, I saw a huge number of people gathered there provided with refreshments, with section registration, for prayers and for addresses by community leaders and authorities including the police. 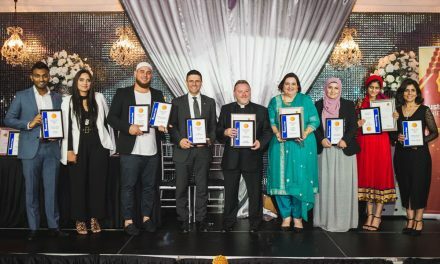 The facility was set up to register all visitors together with a continuous supply of refreshments throughout the days, allocated a place for congregational prayers, meeting hall with a stage for announcements, reports and discussion between NZ authorities, police, Muslim leadership and family and friends of the victims of the tragedy. There was a great concern by families of victims who had died that the bodies were still not released after 5 days of the incident. However, the funeral process started on Wednesday 20 March with janaza and burial of 6 victims at the Ruru Cemetary that I had the honour of attending together with a few hundred Muslims. Wednesday afternoon we visited the injured, many in the intensive care wards still in critical, but stable condition. I had a long conversation with a Singaporean ladysitting next to her still unconscious Turkish husband Zachariah in ICU. While I could not hold my tears when she explained the extent of her husband’s injuries, she remained composed and a pillar of feminine strength throughout the conversation. I also met their two lovely sons Eesa 11 and Ilyas 7 a beautiful combination of Turkish and Singaporean heritage being taken care of by their maternal aunty who had arrived from Melbourne for support. Together with a Japanese newspaper team, I visited homes of some families of the victims of the tragedy. We stayed till midnight at the home of the brother in law of the Pakistani hero Naeem Rashid who died trying the wrestle the gun from the killer. His son Talha 21 was also killed. Their family displayed extraordinary strength and hospitality for the visitors. It has indeed been a unique spiritual, emotional and moving experience for me during my short visit to Christchurch. Burial graves at Ruru Lawn Cemetery. May love and compassion be with you throughout these darkest days. May you continue to receive this for the rest of your lives. Let us embrace our differences and show respect and kindness always. 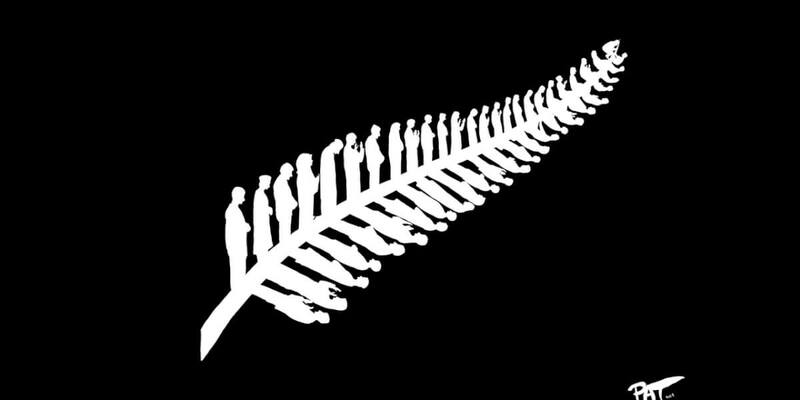 My heart is broken for each of the lives lost last week in Christchurch, but I am sure that the people of my country New Zealand will, from this day forward – demonstrate more tolerance and show more kindness and compassion to all who have come to seek a safer life in Aotearoa. Allah yakun maeak hayimaan! 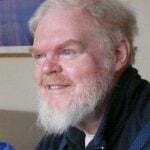 May God be with you always. PM Ardern has shown what real political leadership looks like. Her statement after the killings stays in my mind. “He sought many things from his act of terror, but one was notoriety. I’m humbled to read this article. Our city remains in state of shock-its a sense of routine is normal but we know things are so very different now. Deans Ave has reopened and outside Masjid Al Noor at any time of day or night people remain paying their respects and laying fresh flowers. I’m yet to go to Linwood but no doubt this is being treated with the same dignity and respect. As i type this the police helicopter is flying over our house- something that brings both comfort and a reminder every time.